There’s a renewed push for action on the decades-old plan to build a boathouse in the Rosslyn area. County and federal officials want the public to know that although the project has stopped and restarted several times, it definitely hasn’t been scrapped. The idea of a boathouse has been supported by the county, by residents (particularly families of high school crew team members) and by developers. 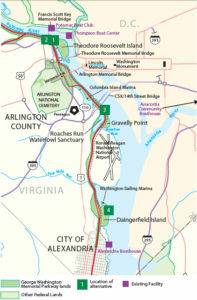 Arlington County has been working on various forms of the boathouse project since the 1990s. 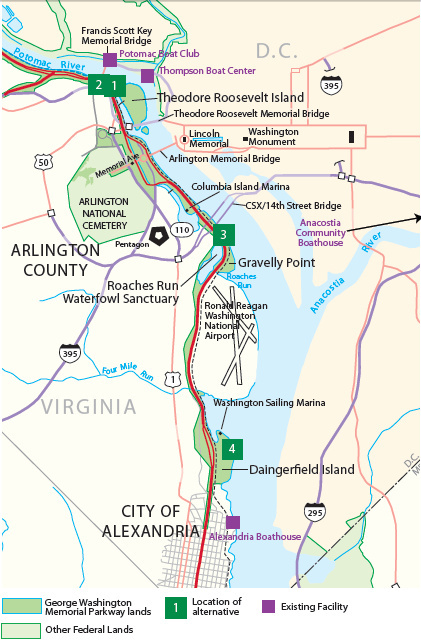 It has collaborated with the National Park Service because the county’s shoreline along the Potomac River technically is NPS property. In October, the county issued a quitclaim to the Commonwealth of Virginia for 1101 Lee Highway. The county had purchased that land parcel near the Key Bridge in 2014 for $2.4 million with the listed intent of using the land for possible boathouse-related purposes. The county issued the quitclaim because it’s unclear exactly who owns and maintains a small portion of the land along the former Lee Highway right of way. VDOT now has to approve the transfer — which has no fiscal impact to either party — and the county believes that should happen by or shortly after the new year. The county points out that this section of land also is the only service vehicle access point if a boathouse is built. Public parking and drop-offs would be located in a safer area further away from the busy intersection with N. Lynn Street and the I-66 off-ramp. Any progress on the boathouse plan is theoretical until NPS completes an environmental study — as required by law — showing how such a project would impact the area’s natural and cultural resources. NPS launched an environmental impact statement (EIS) in 2012, with funding secured by former Rep. Jim Moran (D-Va.). The study involved getting community feedback on locations for a potential boathouse. But the EIS was put on hold and NPS is investigating whether it can instead do an environmental assessment, which is a similar but less intensive study that takes less time to produce. The EA would incorporate the information already gathered during the now-stalled EIS. NPS launched a transportation study last year to determine what impact a boathouse would have on the area’s existing transportation network. The agency has been collaborating with Arlington County and VDOT for that study and in compiling a final report on the transportation impacts. 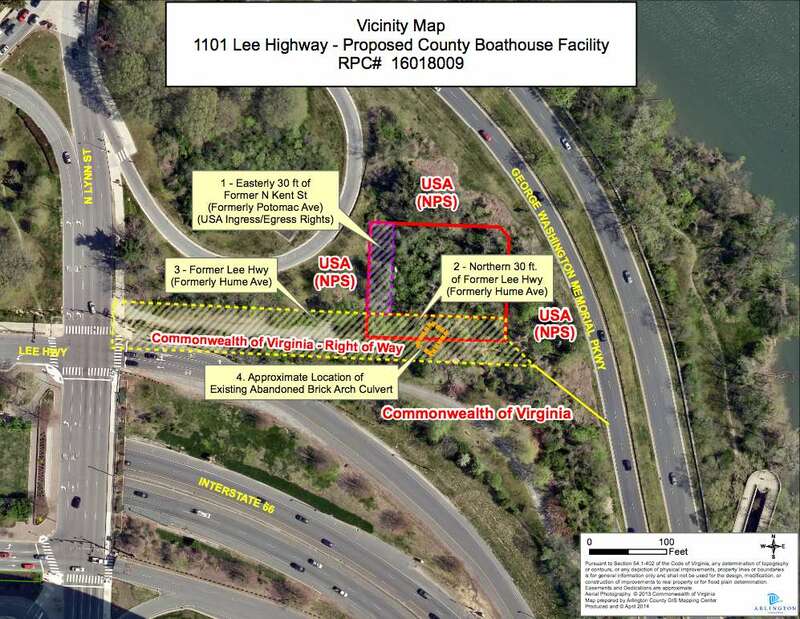 Although 1101 Lee Highway was intended to be a location for a boathouse facility, that’s actually not set in stone. That parcel of land is called an “upper site” and cannot effectively host a boathouse on its own without a nearby “lower site” near Theodore Roosevelt Island where boats could be stored and launched. If NPS deems another site better suited for a boathouse, Arlington County could use the Lee Highway land for something else. 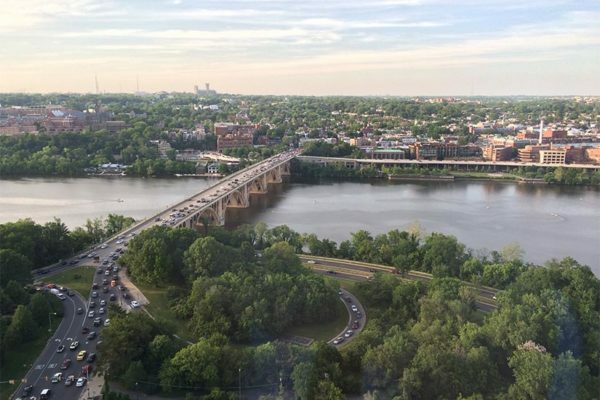 A study for another hot project — the Rosslyn-Georgetown gondola — in relatively the same area was released last month, but Baxter says it’s far too early to consider that an option for the land parcel. In fact, she said it’s premature to even comment on the feasibility of a possible gondola project because the study hasn’t even been reviewed or vetted by county staff. As far as the next steps for moving forward with the boathouse, NPS hopes to announce a decision about the environmental study and its possible transition to an environmental assessment by early 2017. If the agency announces it is able to go forward with an EA instead of an EIS, it could potentially reveal a preferred boathouse site at that time as well, although the location decision is not required until the final environmental study results are released.